Looking to Hire a Magician in Surrey? 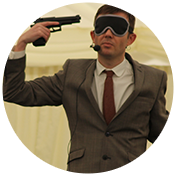 Welcome to the website of award winning Surrey Magician and Mind Reader Edward Crawford. The chances are you’ve come across this site following the recommendation of someone who has seen Edward perform at one of his close up or stage shows. 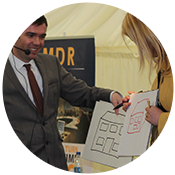 If on the other hand you’ve come across him after making a Google search for something like “Hire a Surrey Magician” then you’ll find plenty of information on the links above regarding the entertainment Edward can bring to your event. 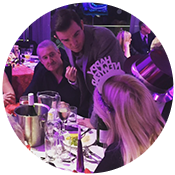 Performing throughout Surrey including Guildford, Leatherhead, Woking and Dorking, Epsom and Reigate Edward is one of the countries most sought after magicians. Edwards unique blend of magical mind reading and humor will bring an unforgettable performance to your event. Its fair to say Edward is not your traditional magician. No Bunnies being produced out of hats, bad jokes or the dismembering of scantily clad “lovely assistants”. Edward performs a far more contemporary style of magic in which he combines psychology, sleight of hand and showmanship to produce a grown up act that will leave even the most cynical with a sense of astonishment. This genre of magic is commonly known as mentalism and it involves reading minds, Edward reveals thoughts and memories that it would be impossible for anyone to know. Predicting the future, including newspaper headlines weeks in advance, or the results of sporting events. Psychokinesis, moving objects with the mind, including bending solid metal keys and coins in the hands of you, the audience! 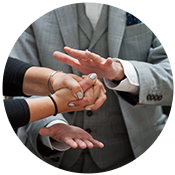 Whether you are looking for a Surrey magician for a corporate or private event, Edward’s act will be tailored to suit your requirements. 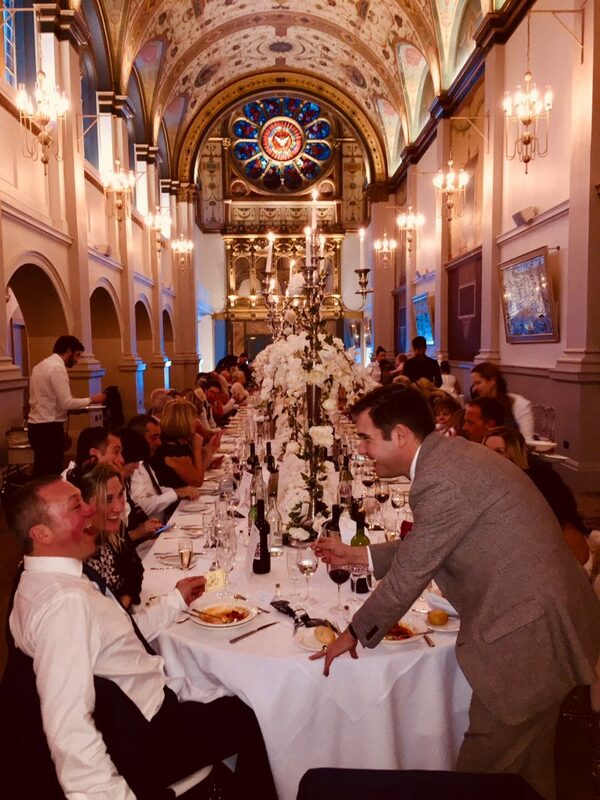 Weddings, Christmas parties, trade shows, private parties, balls and banquets are just a small number of the events Edward will be performing his close up and Cabaret show each year. 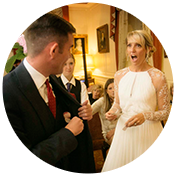 If you want to make your event truly memorable for your guests by hiring a magician in Surrey please click on the links above for further details. If you would like to book him for your event in Surrey simply fill in the enquiry form below. 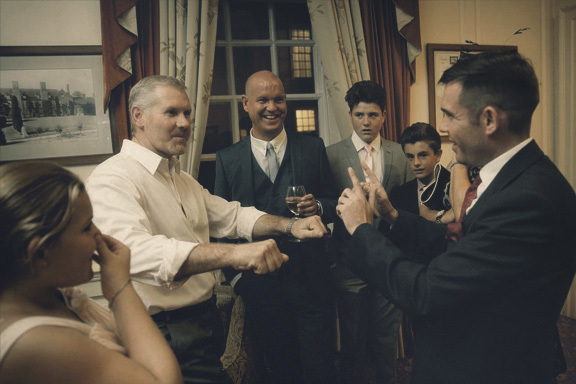 Whether you require a Surrey Magician for close up performance at a dinner or drinks reception, or a cabaret /stage show, Edward will tailor his act to suit your event. 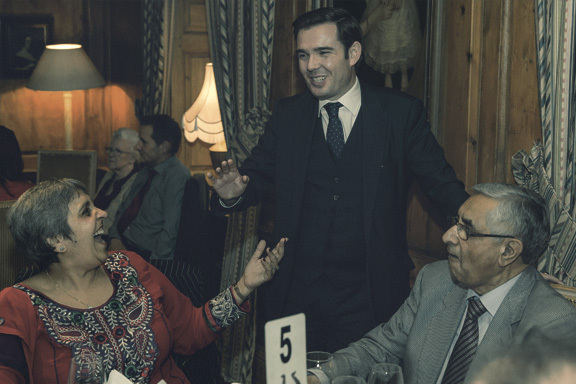 It’s fair to say that my parlour show is my favourite style of show to perform.Usually performed in small intimate settings it gives me the opportunity to perform some of my favourite stage routines whilst working in an environment that gives me an opportunity to get to know and really interact with all the guests. Last week I was hired to perform my parlour show at a 17th birthday party for 15 girls taking place in a family home. It’s fair to say this is considerably younger than my average audience which is usually made up of drunken men at work events and it’s equally fair that 15 teenage girls was a far more daunting task, give me a room full of braying stock brokers any day of the week. I arrived at the house near Guildford an hour in advance to set up the room and prepare my show. I also took the opportunity to watch the guests and to get an idea who I would be using throughout the show for the various routines, although with such a small group eventually everyone would be used throughout the show. Everyone gathered in the living room and the show begun. The show itself was just over an hour long and involved influence, suggestion and mind reading. I started off with a routine which involved the entire audience to get an idea who was the best candidates for later routines. I then continued to read the minds of the guests and to demonstrate the extraordinary powers of the mind. I ended the show with a routine I hadn’t tried before with the birthday girl which I was very pleased to say was a massive success. The whole show was a lot of fun and it was a real joy to perform for everyone. Not only did I get excellent feedback but this morning I received another booking from the parents of the one of the girls who attended to book another show, always the best compliment. 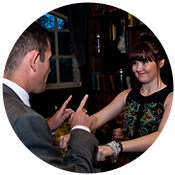 If you’re after a magician in Surrey for your event please get in touch to discuss your requirements. A very busy Saturday, 3 bookings on one day which resulted in 3 trips up and down the M3 through the eternal 15 miles of roadworks, already running a year over and no sign of ending soon. I ended the day in Horsell near Woking, Surrey performing close up magic at a private 50th birthday fancy dress party in a private home. The event was for 70 people and was a casual drinks party within the house and gardens. I arrived with 5 minutes to spare, thanks roadworks, and as I was already set up from my earlier show got straight to work. I performed close up magic and mind reading for about 2 hours, mixing and mingling with the guests in small groups, giving a each group a 5 to 10 minute routine. 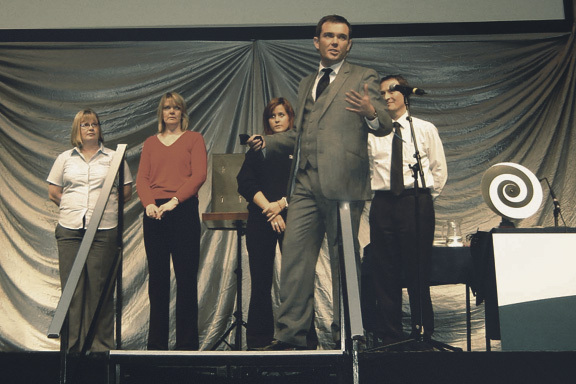 As I specialise in the more psychological form of magic, known as mentalism, most of my routines involve reading peoples thoughts, making predictions using suggestion and influence. At the end of the evening I gathered a few of the guests together to watch as I performed I special routine for the birthday boy and his wife. This routine demonstrates the empathy between two people and is an absolute favourite of mine to perform. “Massive thank you for last night. You were fantastic and our guests were blown away”. It was a really fun night, a massive thanks to Yvon and Phil for the booking. 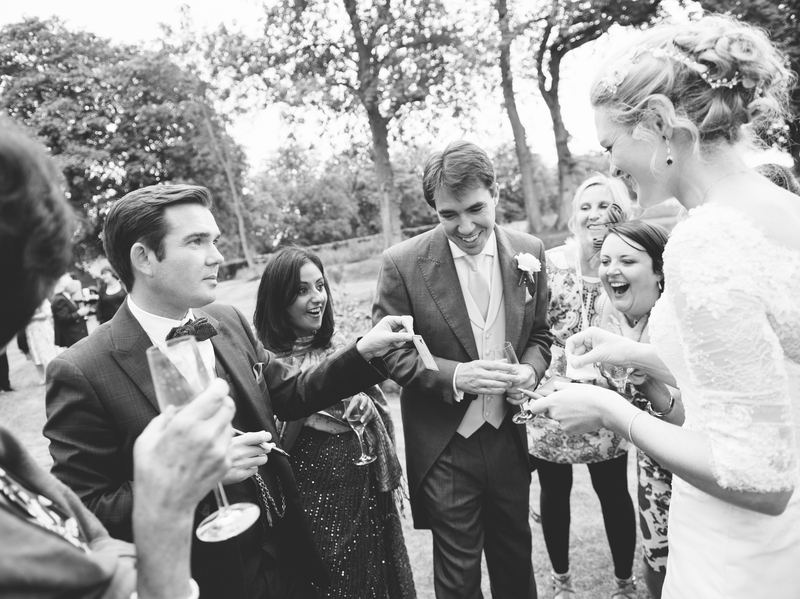 If you’re after a Surrey magician for your event please get in touch to discuss your event. On Friday evening I was hired to perform close up magic by The Royal Holloway University at the Packhorse in Egham Surrey. They wanted a close up performance to go round the tables performing for students and members of the general public. This event was to celebrate the re-opening of the bar. It was the hottest day of the year so far so was grateful to be able to perform in the garden of the pub. I performed for about 2 hours going from table to table or small groups showing each group and 5 to 10 minute routine of close up magic and mind reading. On days like this I like to keep things fairly simple, people are drinking having a good time and they will always prefer a simple to follow but hard hitting routine. Here’s a typical example. I will write down a number, ask someone to name a number between 1 and 100, they will turn over the piece of paper I wrote on and that will be the number they named. This is a very basic example of the use of influence. I like this routine because it is quick and easy but always gets strong reactions. After this I will generally move onto some mind reading. On this night in particular the bar had a well stocked library so I asked people to grab books from the shelves, choose a page and a line of the book at random, I would then tell them the words they were thinking of! It was a fantastic evening and the landlord has asked me to perform at another event in September. Look forward to seeing you all again. On Sunday afternoon I was hired to perform during the drinks reception at a wedding at De Vere Wotton House in Dorking Surrey. 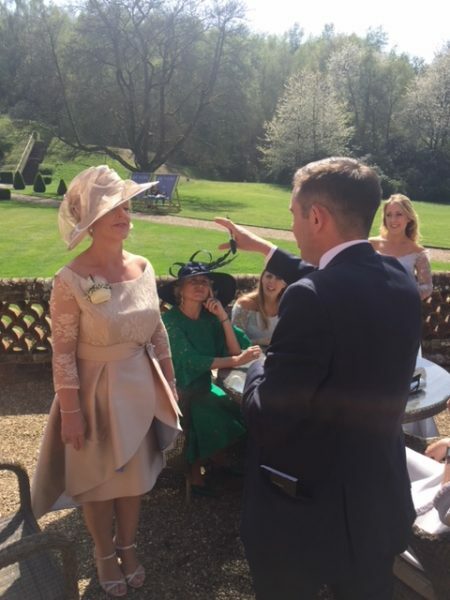 It was a beautiful day, the hottest day of the year so far so the event took place in the stunning grounds of the hotel. This is always my favourite time to perform at a wedding. Directly after the ceremony whilst photos are being taken. It’s a quiet time for a lot of people who aren’t involved in the photos so a perfect time to keep people entertained before the wedding breakfast. I performed for 2 hours, mixing and mingling with the guests, reading minds and bending metal. I tried out a new routine I have been working on for some months now which involves hypnosis. Very pleased that it worked perfectly. Very often I might find that a routine that has been worked on for a long time when tried out in the real world just doesn’t work or have the necessary impact. Very happy it wasn’t the case with this one. As the bride and groom were away having photos taken throughout this period I stayed a little later to perform for them during the wedding breakfast. All in all it was a fantastic day and had a great time performing for everyone. 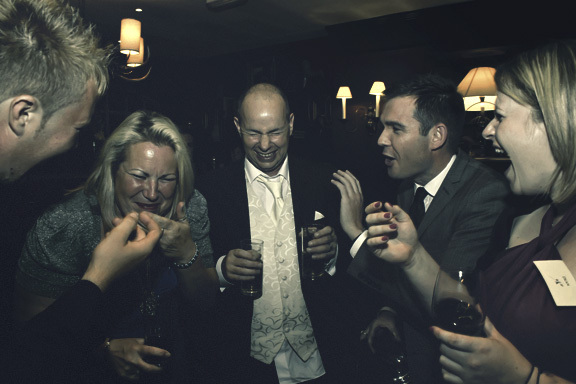 If you’re after a Surrey magician or a wedding magician on Surrey please contact me today for more details. Or click HERE for more details about the services I offer for weddings.